Koraput – rough, coarse to the touch, yet soft on the skin and completely organic. Like a wildflower’s unrefined beauty, Koraput’s elegance lies in its unassumingness and simplicity. 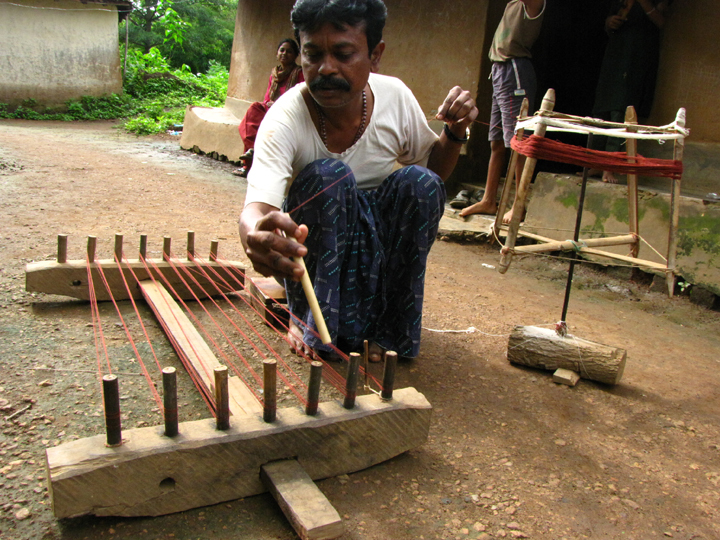 Woven for centuries in Kotpad – a dusty little town in Odisha, this fabric is entrenched in Kotpad’s regional identity. 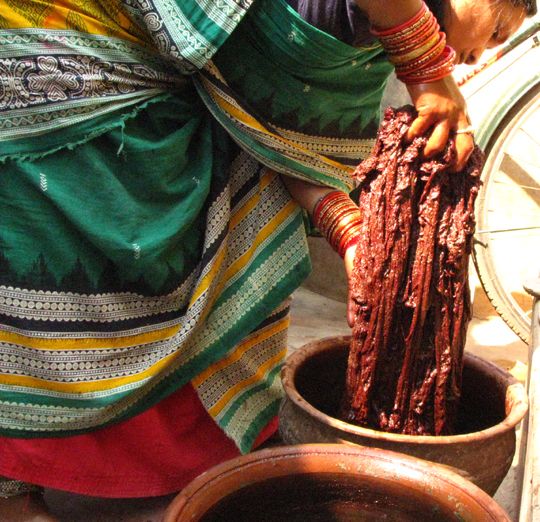 Traditionally woven by the Mirgan community, Koraput yarn is dyed in warm reds and maroons with the roots of the Indian Madder or Aal keeping it completely organic and exalted on the green index. 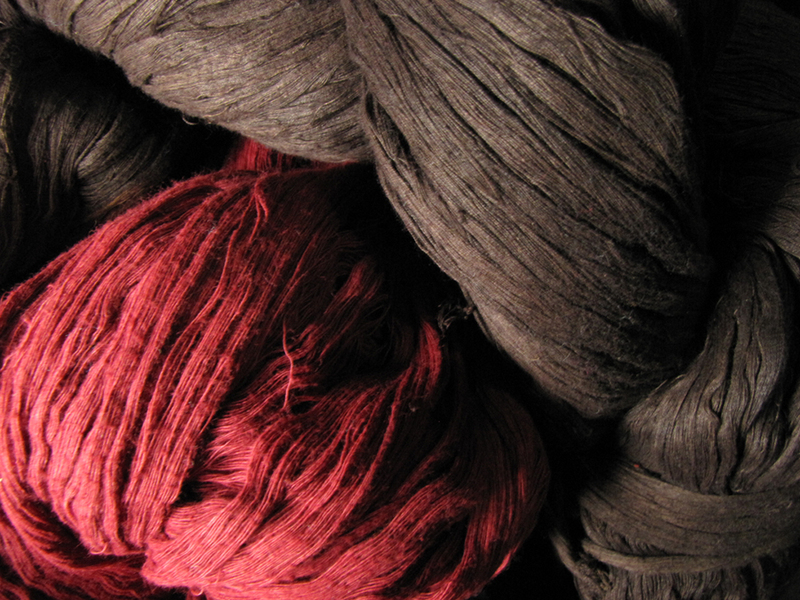 The process of dyeing is a tedious one, handed down generations. 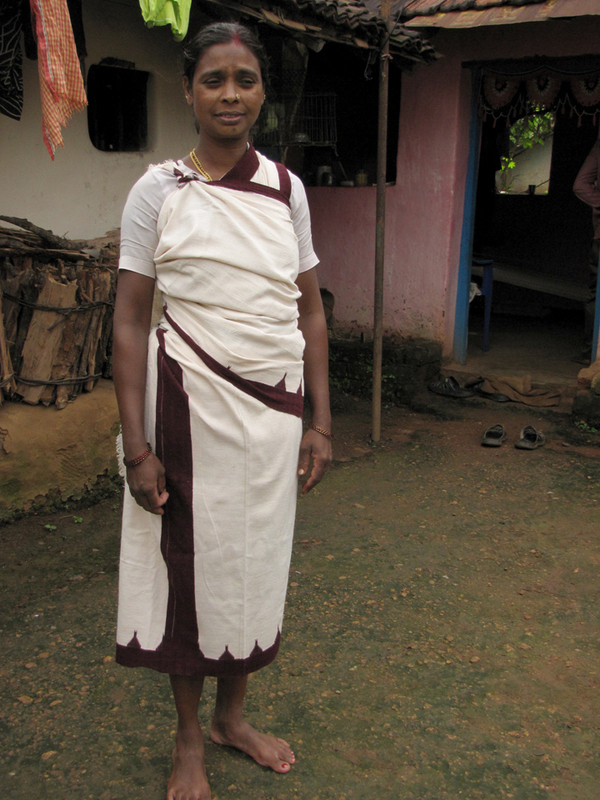 With its origins tracing back to the 3rd Century, Koraput fabric is also an important commodity in the region’s micro-economy. 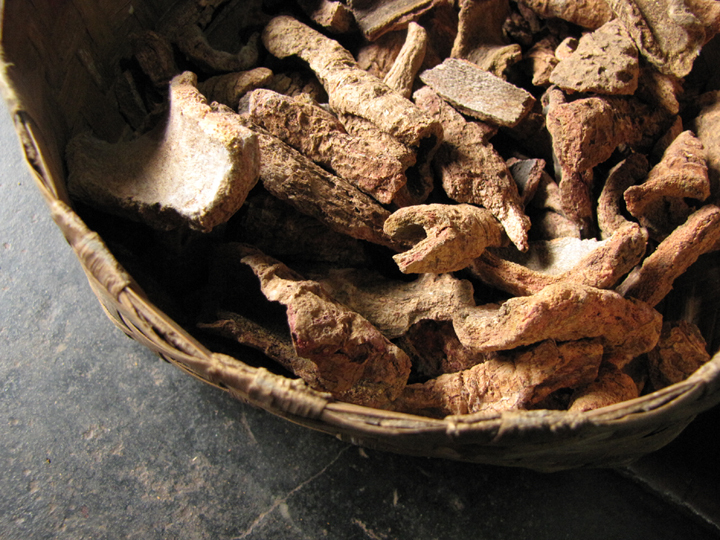 Right from sourcing the raw materials that are either bought or bartered to selling it, Koraput greases the wheels of the local economy. Locally known as ‘Pata’, Koraput was traditionally created by the Mirgan for the Koraput Raja and subsequently for different tribes in the area – like the Muria, Gonda and the Bhatra among others, highlighting their respective motifs, making the fabric a visual code for that community. For instance motifs like the Sacred Axe signifies the Paroja tribes and the Palanquin Bearers are a symbol of the Gadaba tribes. These motifs, inspired by the abundant nature around the Panika (the weaver) also include Bili-khoj (Cat’s Paw), Machari (fish) and Prajapati (butterfly). Rife with symbolism, these motifs are used to identify significant life moments like weddings, birth of a child and the hunting season making Koraput culturally significant as well. Largely insulated from growing urban markets, Koraput caught the urban buyers’ attention in the 80s owing to a revived interest in traditional Indian fabrics and the Odisha government’s support through the Kalingavastra Program. 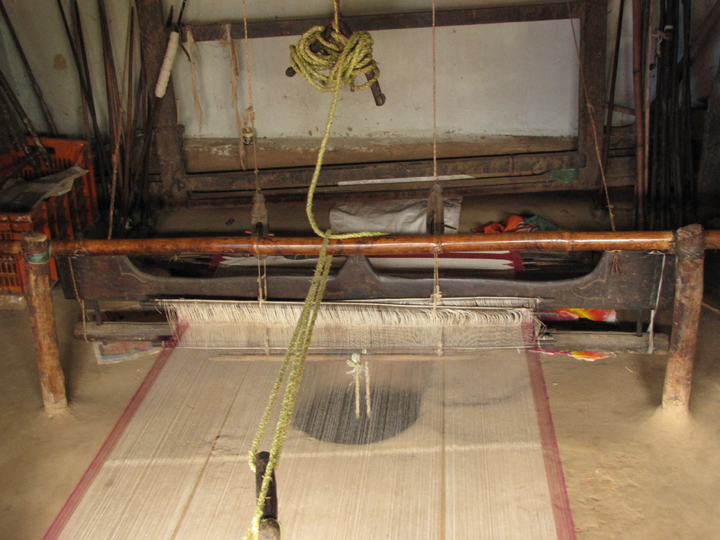 Although at present they are able to fulfill the needs of both traditional and new markets, Kotpad weavers like Govardhan Panicker, a prominent Panika who works closely with Jaypore face growing challenges like rising cotton yarn prices and increasing difficulties in sourcing Aal root for dye extraction. Finally, the presence of middle men leaves the artisans with little to take home. 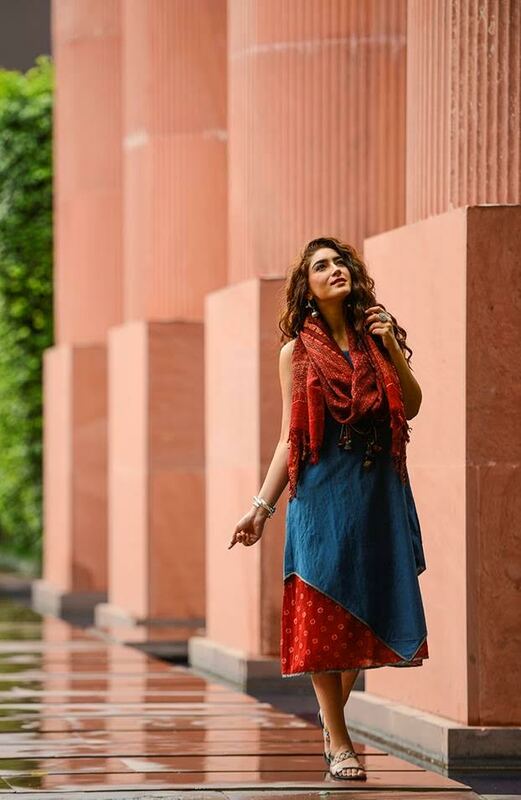 Jaypore’s new Koraput collection is an effort in this direction by producing a collection where each garment is created by interweaving a contemporary design aesthetic with traditional motifs, catering to a global audience. 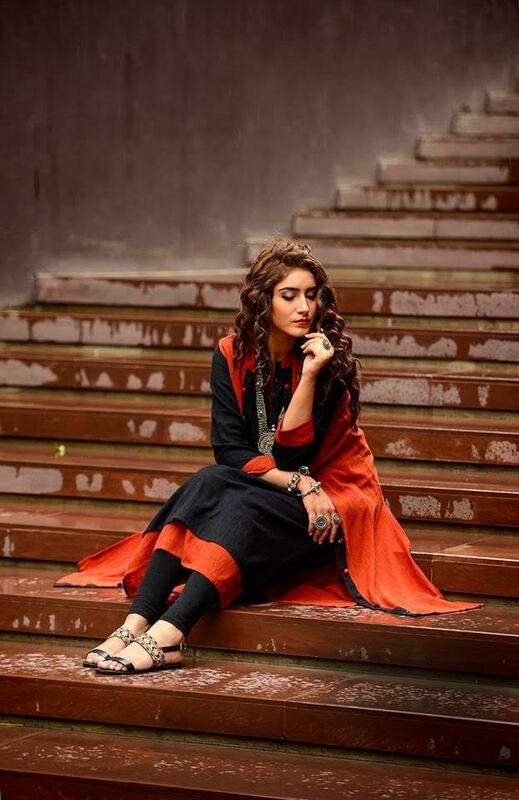 So you can expect to see contemporary silhouettes like layered dresses, wide legged pants and versatile jackets in deep reds, muted maroons, earthy browns and calming Kora as well as motifs uniquely associated with Koraput. As an online brand dedicated to creating a unique interpretation of age-old hand loom crafts, we travel across India curating unique and exclusive collections that represent the country’s finest craft-based designs. We present collections online by partnering with artisanal communities, textile designers, and independent artists to showcase a new contemporary design language that comes from India and is understood globally. Shop this collection on jaypore.com. – Content & Images by Tanuja Sethi, Pankaja Sethi & Jaypore. Posted in apparel, clothing, Crafts, fashion, Incredible India, India, indian, Jaypore, Natural, Odisha, Organic, Revival, Textiles, traditional, Women and tagged collection, Colors, community, contemporary, Craft, Designer, Dr. Sudha Dhingra, dyeing, fabrics, Govardhan Panicker, History, India, Indian, Jaypore, Kalingavastra Program, Koraput, Kotpad, Mirgan, motifs, Natural, new, Odisha, Orrisa, Panika, Pankaja Sethi, Revival, technique, textile, timeless, Traditional. Bookmark the permalink.